Our Intellectual Property attorneys are experienced trial attorneys in the enforcement and defense of patent, trademark, trade dress, and copyright infringement actions in district courts, before the Federal Circuit and the U.S. International Trade Commission. Additionally, we handle arbitration, mediation, and other alternative dispute resolution proceedings. We believe that behind every success is a team working in unison. We view our clients as part of our Team. We represent a wide range of clients in industries such as chemical, mechanical, and computer technologies; pharmaceuticals; manufacturing machinery; biochemicals; liquid crystal displays; semiconductors; electrical/electronic; fiber optics; polymers; logistics software; telecommunications; circuit boards; medical devices; and materials testing equipment. Our attorneys possess a broad range of experience and education in physics, chemistry, life science, environmental, electrical and mechanical engineering. Our attorneys have significant experience in copyright litigation involving a wide range of issues, including disputes over whether two works are "substantially similar," use of third-party works under the "fair use" doctrine, and imports of "gray-market" goods. Our clients span a large number of industries, including electronic publishers, software companies, and manufacturers of consumer goods. We believe that behind every success is a team working in unison. We view our clients as part of our Team and work closely to make sure their goals are being met each step of the way. We offer our clients the best protection and enforcement of their innovations. We also understand the high costs associated with any IP litigation and work with our clients to efficiently balance their budget with their desired outcome. Our personalized approach sets us apart. Roetzel's IP Team integrates its undergraduate, graduate or doctorate degrees in electrical and mechanical engineering, physics, chemistry, computer science and math, along with each attorney's unique legal experience, to maximize its understanding of the technical issues involved in patent matters. In addition, many of our attorneys are registered to practice before the U.S. Patent and Trademark Office. Notably, our trial attorneys bring years of experience and technical expertise that enables them to provide exceptional advice for litigation strategy. One aspect of any litigation that is becoming of growing importance concerns electronic discovery matters. To assist our clients in ensuring the proper steps are taken during the course of discovery, we work with our clients to derive a strategy at the outset of each case and continually update our plan as the litigation proceeds. At Roetzel, our attorneys recognize the importance of and stay on top of the latest happenings at district courts throughout the United States, the Federal Circuit, and the United States International Trade Commission, as well as the U.S. Patent and Trademark Office. As such, many of our attorneys are involved at a leadership level on committees at the American Intellectual Property Law Association ("AIPLA"), International Trademark Association ("INTA") and International Trade Commission Trial Attorneys Association ("ITCTLA"). This allows us to keep abreast of changes to laws and rules so our client always has the very best and most competent representation. Our approach to trademark litigation, like our approach to strategic trademark counseling and prosecution, emphasizes adopting the best strategy to achieve our clients' goals. We work closely with our clients on all aspects of the litigation process, including prelitigation counseling, early case assessment, discovery, trial, alternative dispute resolution, and settlement. We have extensive experience in all facets of trademark litigation at the federal, state and administrative levels, having litigated numerous cases in various forums across the United States. 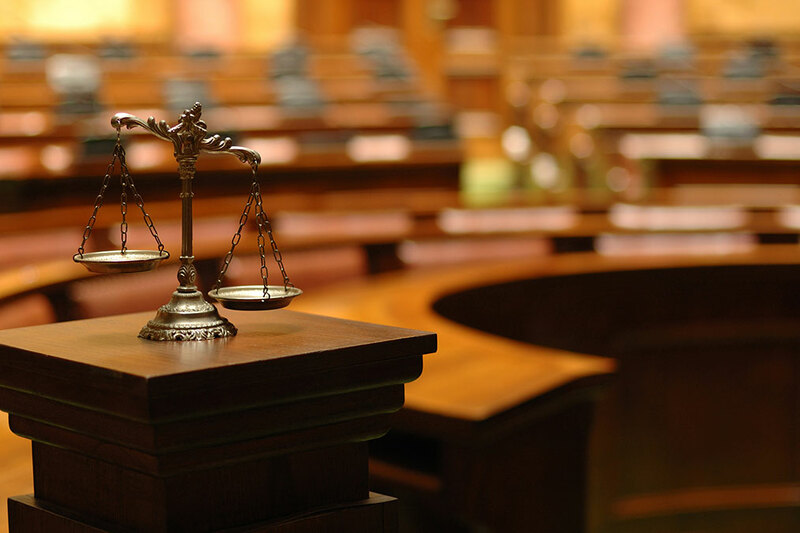 We have handled a wide variety of cases for both plaintiffs and defendants. These cases have involved numerous issues, from "garden-variety" likelihood-of-confusion issues to complex issues concerning the calculation of damages. Our cases also have spanned numerous industries, from the steel industry to the electronics industry, and have involved a wide range of expert witnesses, including survey experts and linguistics experts.